There is speculation that all may not be well between American rapper, Gucci Mane and his wife Keyshia Ka’oir who he got married to 7 months ago in a lavish wedding, following suspicious detail on his Instagram account. Fans are already thinking there could be trouble in paradise and they’ve got evidence, backing up their fears. Until Thursday night, the only person rapper Gucci Mane was following on instagram was his wife Keyshia K’aoir, however it is not so anymore as some are claiming the trouble is due to Keyshia’s spending habits. On the flip side, looking at Keyshia’s account, she’s still following Gucci. In fact, her profile says “Mrs. 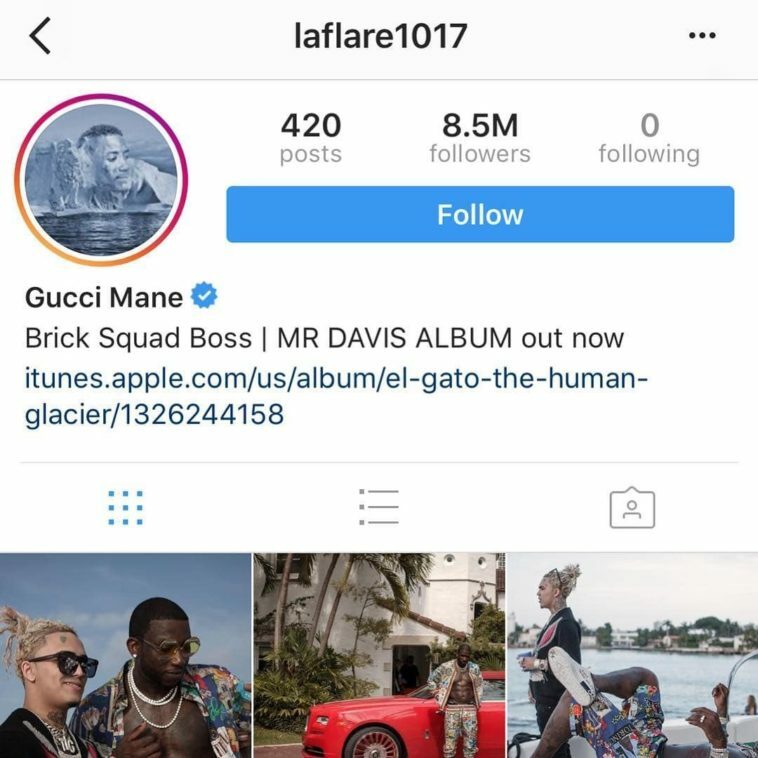 Davis”, but it would have been nice if Gucci Mane pulled a vintage Kanye West and at least followed just one person, his wife. The comments on Gucci’s most recent photo (him with Lil Pump ) are full of questions and concerns from fans. “Trouble in paradise already? Why you unfollow wifey?” one fan commented. “Why you unfollow@keyshiakaoir ? #teamlove 💚” wrote another, as did this fan, with, “Damn looks like wop and his wife might be getting divorce”. 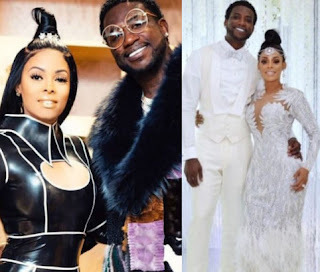 Gucci and Keyshia were the picture of love and happiness during their elaborate wedding in October 2017. The over-the-top celebration was even featured on a televised special. It was so romantic, and it was clear that they adored each other. And hopefully, they still do. As Keyshia and Gucci’s romance blossomed — and as Gucci was caught up in legal drama — Keyshia remained loyal to the Atlanta star during his prison stint and probation periods. Upon his release from prison last year, the beauty mogul made sure Gucci’s transition was as smooth as possible. “He couldn’t leave the house for six months,” she told New York Post .